It's the summer of 1976 on Fire Island, where feathered hair and the Bicentennial celebration reign. Jean, a sometimes cruel, often insecure, and always envious rich girl, is accustomed to living in her glamorous older sister’s shadow. So when Gil Burke, a handsome newcomer with uncertain ties to one of the most powerful families in the exclusive enclave of Sunken Haven, notices Jean—not her sister—Jean is smitten. Be True To Me is the story of two young women and a summer that will change their lives forever. There was romance, drama, fierce competition, and enough juicy gossip to keep me turning page after page. The characters were intriguing and the setting was perfect. I loved the gorgeous beach imagery mixed with days from the past. As much as I enjoyed the setting, there were a few things that bugged me a little bit as well. I don't particularly love it when there is unnecessary female drama or competition over a guy. It makes females look like we just fight over men all the time. I especially wasn't a huge fan of that portion of the story because I didn't really like the guy they were fighting over. Even though I was a little bit iffy on the characters, I thoroughly enjoyed the plot, and the twist at the very end had me going crazy. I never saw it coming and it totally surprised me! 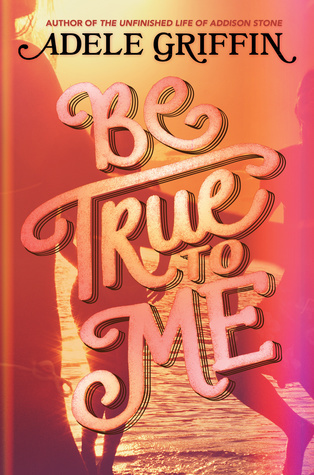 All in all, Be True To Me is a fun summer read about love, betrayal, and rivalry. I would highly recommend this novel to readers who enjoyed We Were Liars and other YA contemporary novels. *A huge thank you to Algonquin Young Readers for sending this ARC in exchange for an honest review!